The relationship between alcohol and obesity has been well established. Several studies have shown contradictory results on the effect of alcohol intake on weight gain. While some revealed that alcohol consumption is a risk factor for weight gain others showed no correlation between the two. Some even show a beneficial effect on the overall cardiovascular health. However, one fact that is common to virtually all the studies is the relationship between the quantity of alcohol intake and weight gain. The frequency of consumption has been demonstrated to have no correlation with weight gain, but the volume is said to be a risk factor for obesity. 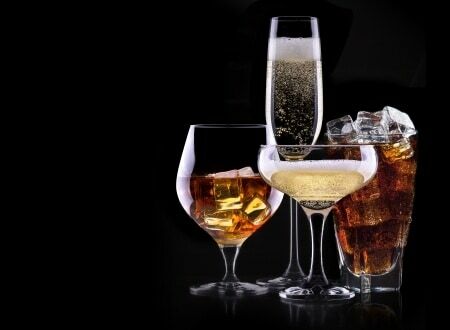 Consumption of more than 21 glasses of alcohol in a week has been shown to be a risk factor for obesity. Gastric sleeve surgery is one of the surgical options available to obese people who desire to reduce their weight or who have failed to achieve a satisfactory weight loss following other non-surgical methods. It is one of the safest and most effective bariatric surgeries. Safe because it is done laparoscopically and has less postoperative complications. Effective because it removes 80-90% of the stomach and reduces the production of ghrelin (an appetite stimulating hormone). The ultimate result is a reduction in food intake, suppression of appetite, and loss of weight (average of 59% of the excess weight) and reversal of comorbid conditions. One of the preparations for gastric sleeve surgery is the pre-op diet which includes cessation of alcohol intake. This is done for its benefit in marginal weight reduction before surgery and positive effect as regards anesthesia and post-op anesthetic recovery. In fact, those that would be financed by insurance companies must show evidence of compliance with this dietary plan for at least 6months before an approval can be gotten. Postoperative period is characterized by decreased appetite due to a reduction in the appetite-increasing hormone, ghrelin. This implies that after gastric sleeve surgery, you are expected to take small but nutritious diet to avoid nutrient deficiencies. Although alcohol is a liquid carbohydrate that yields more energy (1g—7.1kcal) than other carbohydrates (1g—4kcal), it does not contain any other nutrient. The energy derived from alcohol is also addictive and will eventually lead to a positive energy balance with subsequent weight gain. In addition to this, alcohol interferes with the absorption of water-soluble vitamins such as vitamins B12, B1, B6, and folate. Because of low intake of these vitamins as a result of reduced appetite after gastric sleeve surgery, a deficiency state may develop. The primary mechanism by which gastric sleeve induces weight loss is through the reduction in food intake by early satiety. Alcohol intake after gastric sleeve will be emptied into the small intestine faster, being a liquid diet. This may abolish any feeling of fullness leading to more alcohol/calorie intake and inadequate weight loss or even weight gain. The faster gastric emptying also implies that you may get intoxicated early and engage in abnormal behaviors. Stretching and permanent dilatation and enlargement of the stomach after the gastric sleeve is one of the causes of inadequate weight loss or weight regain after an initial loss. Binge drinking may accelerate this process of stretching and thus, counterproductive to the aim of gastric sleeve surgery. If your stomach stretched and became enlarged, another surgery may be required to correct it. The commonest cause of chronic liver disease in the western world is an alcoholic liver disease. A rare cause is a nonalcoholic fatty liver disease (NAFLD). Evidence of fatty infiltration of the liver is seen in most morbidly obese individuals, and this tends to progress to NAFLD with its attendant complication of liver cirrhosis and the need for liver transplantation. This fatty infiltration of the liver is expected to resolve along with weight loss after gastric sleeve surgery. However, consumption of alcohol after gastric sleeve surgery will impair weight loss, worsens the fatty infiltration of the liver with progression to alcoholic fatty liver disease. Alcohol is known to be toxic to the liver cells. As the appetite and calorie intake reduce after gastric sleeve surgery, the liver is expected to work more and serves as energy store as well as a place of conversion of other biomolecules to energy. These functions would be compromised with alcohol consumption and may even be a cause of liver failure. In conclusion, alcohol intake after gastric sleeve surgery is not contraindicated. A small amount of it has been found to be beneficial to the cardiovascular health. This benefit can, however, be gotten from exercise and healthy diet. You should, therefore, weigh the little benefit of alcohol along with its numerous detrimental effects on weight loss, nutritional deficiencies, and hepatic functions. Our recommendation is that you should avoid alcohol intake after gastric sleeve surgery.